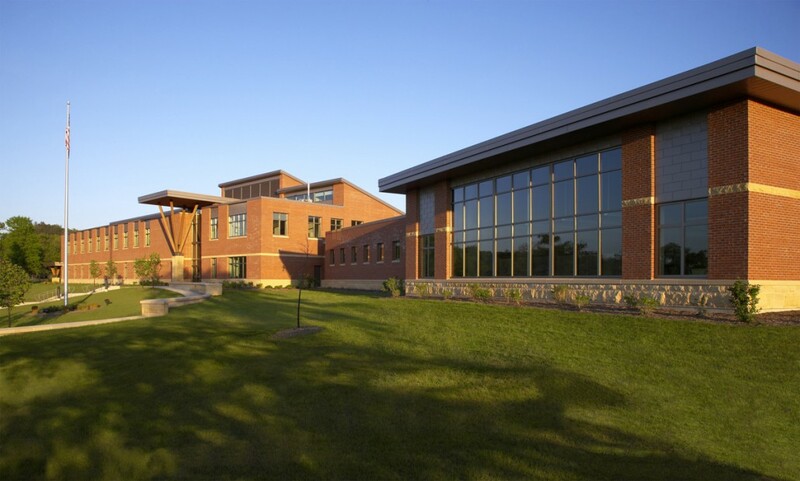 Potter Lawson was selected to design the accounting and procurement office for the State of Wisconsin Army National Guard. The project is located at Camp Williams which is adjacent to the town of Camp Douglas. 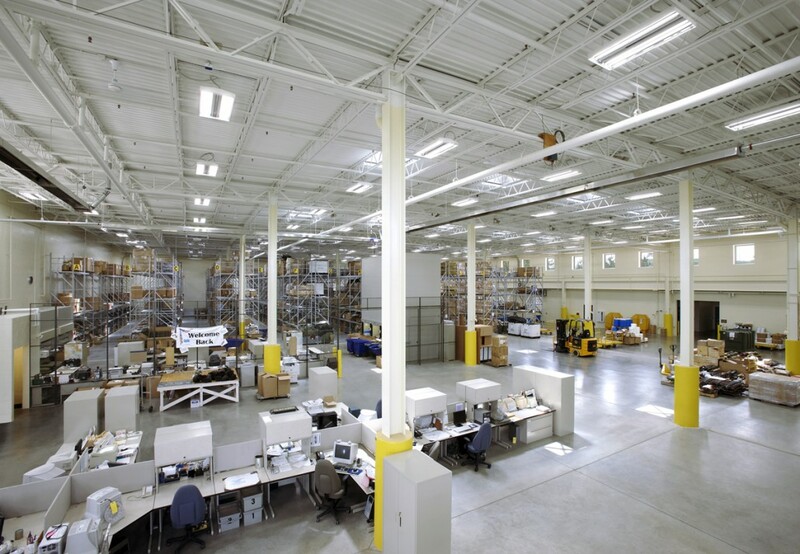 It includes 40,000 square feet of office space and a 40,000 square foot warehouse. 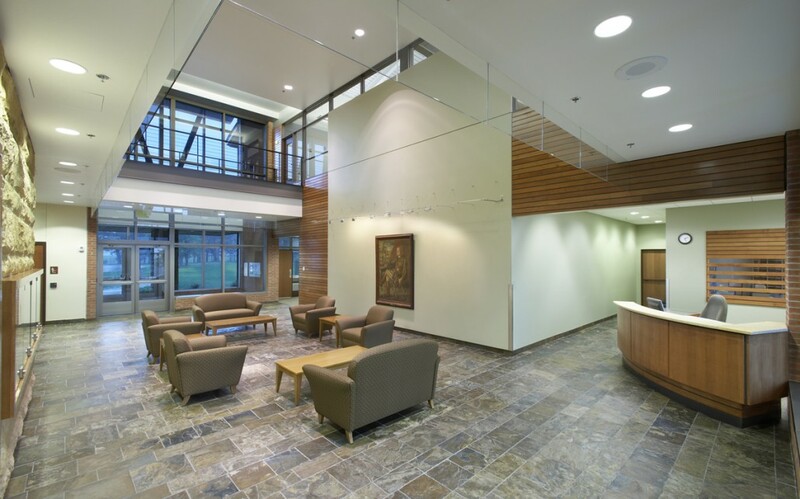 The architecture is designed to complement the long history of Army and Air National Guard buildings located in Camp Williams and Volk Field. The warehouse stores all the supplies for the Army Guard in Wisconsin, ranging from parts for tanks to computers and uniforms. 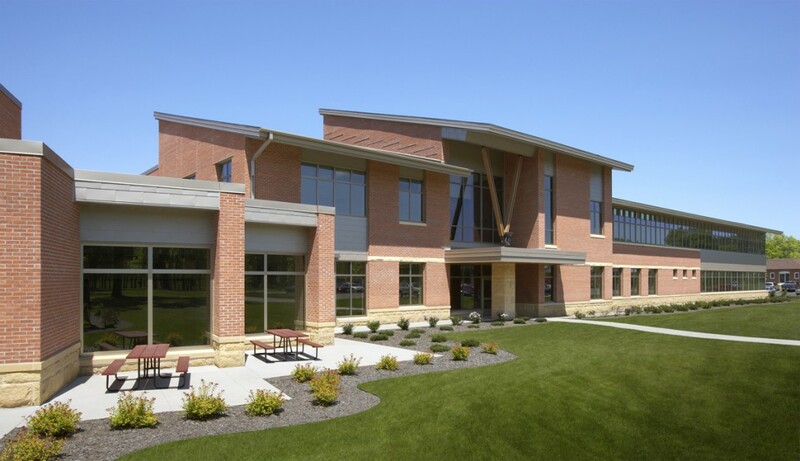 The building features sustainable design or “green” architecture and followed LEED guidelines. For example, the building has interior light shelves, clerestory windows, and is oriented in an east-west direction to reduce the amount of wall on the east and west facades and to increase the amount of wall and glass on the north and south facades. 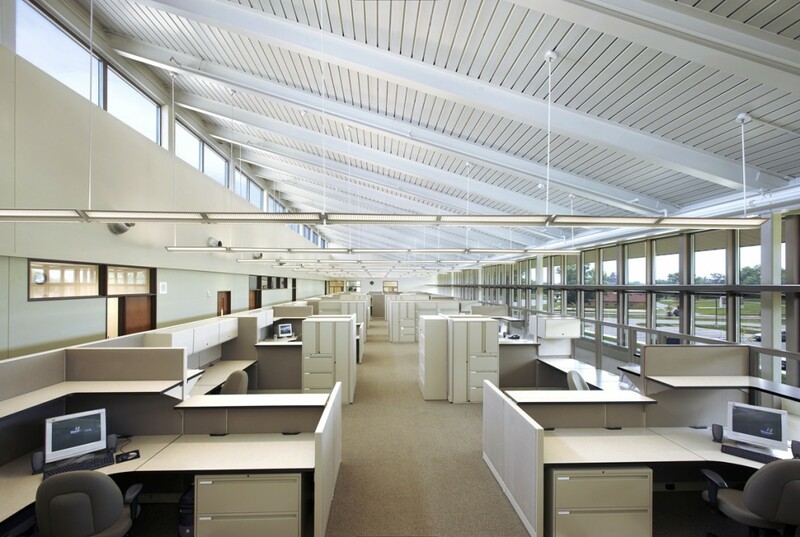 There are also daylight and occupancy sensors in the office areas, as well as the warehouse. As a testament to the buildings energy efficiency, Governor Doyle awarded USPFO with the Excellence in Sustainable Design & Construction Award.